A rare meeting of literary genius: P. D. James, long among the most admired mystery writers of our time, draws the characters of Jane Austen’s beloved novel Pride and Prejudice into a tale of murder and emotional mayhem. It is 1803, six years since Elizabeth and Darcy embarked on their life together at Pemberley, Darcy’s magnificent estate. Their peaceful, orderly world seems almost unassailable. Elizabeth has found her footing as the chatelaine of the great house. They have two fine sons, Fitzwilliam and Charles. Elizabeth’s sister Jane and her husband, Bingley, live nearby; her father visits often; there is optimistic talk about the prospects of marriage for Darcy’s sister Georgiana. And preparations are under way for their much-anticipated annual autumn ball. Then, on the eve of the ball, the patrician idyll is shattered. A coach careens up the drive carrying Lydia, Elizabeth’s disgraced sister, who with her husband, the very dubious Wickham, has been banned from Pemberley. She stumbles out of the carriage, hysterical, shrieking that Wickham has been murdered. With shocking suddenness, Pemberley is plunged into a frightening mystery. 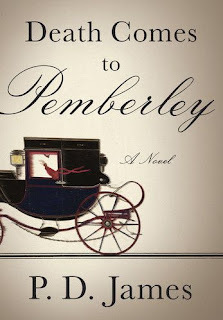 Inspired by a lifelong passion for Austen, P. D. James masterfully re-creates the world of Pride and Prejudice, electrifying it with the excitement and suspense of a brilliantly crafted crime story, as only she can write it. MY THOUGHTS I really wanted to like this book. I love mysteries, and, of course, Darcy and Elizabeth. What happened? Was it the lack of a compelling enough mystery? Definitely. Of course, I wanted to find out what happened to Denny. I never believed Wickham had killed his best friend. The murder, as confessed by the perpetrator, read like a whim to me. The motive? Unsubstantiated as to exactly what had occurred and who was at fault. Revealing that Denny was innocent of all but his association with the "wrong sort." I also felt the explanations offered by Wickham, Colonel Fitzwilliam, and Darcy for their past decisions and actions were disappointing. I was looking for more mystery. More meaning. More oomph. I did like discovering more about the characters as created by P.D. James but found some of her insights into the characters, completely of Jane Austen's creation, to be disturbingly different from my own. I'll always prefer the Darcy and Lizzy of Jane's imagination, but that doesn't mean I don't want to explore other authors' interpretive works. My Ray of Sunshine, originally uploaded by valeehill. The first photo posted of Lizzie this year and she's snoozing. She looked so comfortable in her bed with the sun shining on her. She'd had a good breakfast, a good grooming, and a romp on the beach. A pretty good day, so far, in the life of a beloved dog. 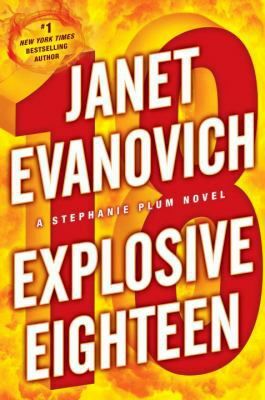 Before Stephanie can even step foot off Flight 127 Hawaii to Newark, she’s knee deep in trouble. Her dream vacation turned into a nightmare, and she’s flying back to New Jersey solo. Worse still, her seatmate never returned to the plane after the L.A. layover. Now he’s dead, in a garbage can, waiting for curbside pickup. His killer could be anyone. And a ragtag collection of thugs and psychos, not to mention the FBI, are all looking for a photograph the dead man was supposed to be carrying. Only one other person has seen the missing photo—Stephanie Plum. Now she’s the target, and she doesn’t intend to end up in a garbage can. With the help of an FBI sketch artist Stephanie re-creates the person in the photo. Unfortunately the first sketch turns out to look like Tom Cruise, and the second sketch like Ashton Kutcher. Until Stephanie can improve her descriptive skills, she’ll need to watch her back. Over at the bail bonds agency things are going from bad to worse. The bonds bus serving as Vinnie’s temporary HQ goes up in smoke. Stephanie’s wheelman, Lula, falls in love with their largest skip yet. Lifetime arch nemesis Joyce Barnhardt moves into Stephanie’s apartment. And everyone wants to know what happened in Hawaii? There were laughs, just not as many as I'm used to. Lula wasn't present for much of the first half (?) of the book and I missed her! Stephanie is still totally indecisive about Joe and Ranger. I think after 18 (numbered) books it's time to have her mind made up for her. The success of the books isn't completely about their unresolved "issues." There has to be more. I wanted to be privy to what happened in Hawaii while it was happening. I think it would have been fun to be along for their Hawaiian adventures as they occurred for just a little while. Trenton is a character, but other than Stephanie no other character needs to be in every scene. Wondering what's going to be happening in number nineteen...also, fairly excited about the motion picture, One For the Money, later this month. Unbelievably, I've made it to this point in life without ever having had Chai (tea). 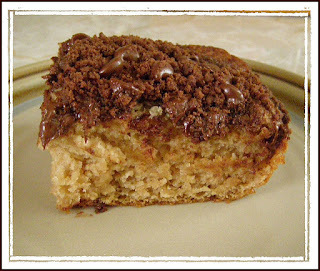 I bought the box of Tazo Organic Chai for this recipe, and because my daughter had some and said it was, "delicious!" I took the conservative route and used 4 tea bags not knowing how spicy it would be. After having tasted the moist cake and gooey topping, I plan on increasing the number of bags considerably the next time. 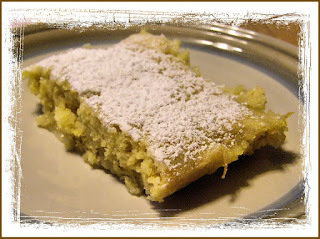 The recipe is from my favorite baking book, The 100 Best Vegan Recipes by Kris Holechek. Tomorrow, my first cup of Chai, to which I've been told to add milk (soy milk) and sugar (organic)! From the recipe book have your cake and vegan too by Kris Holechek. This is baked in a shallow pan/dish and served warm. It was especially moist with an ample amount of "pudding" in the bottom of the pan. The one thing it lacked was a zesty orange flavor. We found it too subtle. Next time: a large orange, instead of medium. More zest just may do it! A confession. 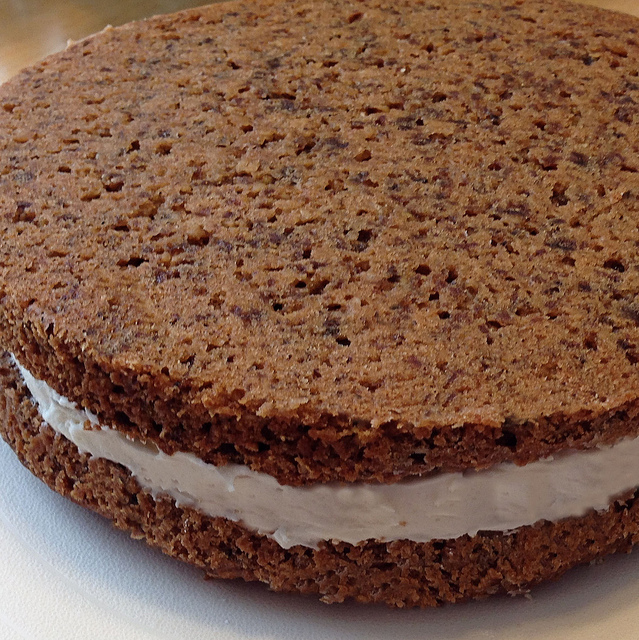 I have NEVER had a Little Debbie Creme Pie. That means I have no comparison. That's okay, because I can't imagine it would taste as good as this wonderful (and large) vegan version. Wow, it was delish! I had to buy raisins especially for this recipe since I always use dried cranberries. I've never been a shortening user, but with Spectrum Naturals Organic Non-Hydrogenated Shortening there is no "yuck factor". The recipe is from have your cake and vegan too by Kris Holechek. She 'did good'! 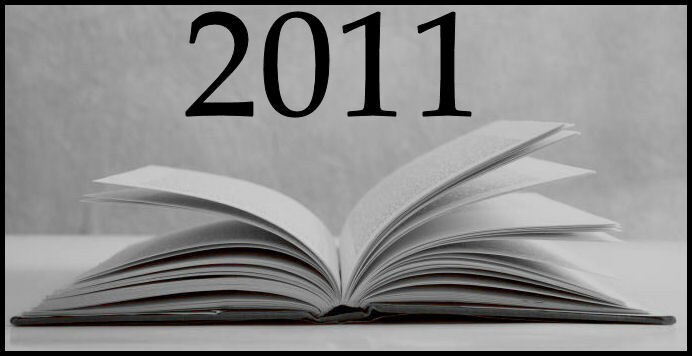 According to my book database's stats I read 41 books in 2011, yet my Goodreads Reader Challenge total was 54. The discrepancy can be attributed to the fact that I changed the original year read date on 13 rereads to 2011 on Goodreads, but not in my database.